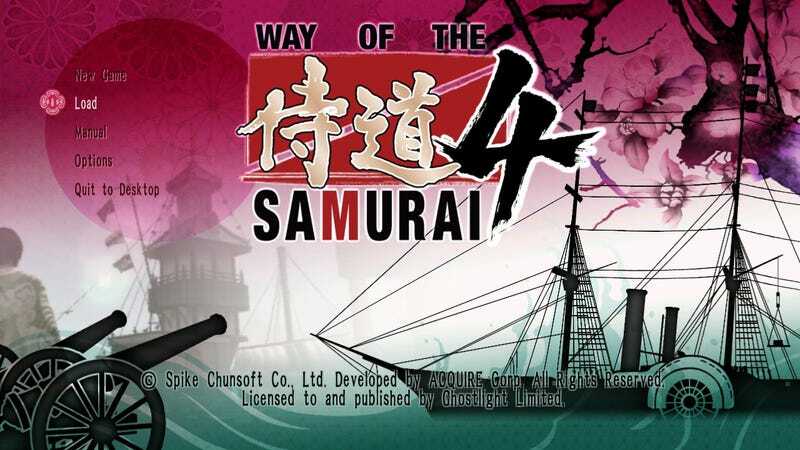 Preorder Way Samurai 4 (PC) for 40% off! Disclaimer: I’m a non-paid tester. You play as a wandering ronin and you stumble into the conflict of the Japanese government, the rebels and the British foreigners in 1855. - Likely be more than 50 hours if you want to get everything. - A historical adventure but don’t expect some details to be too accurate. This game was made for a modern audience. - Do not button mash, you have to learn to defend, evade and attack according to the pattern of the opponent. - You can not only get the weapons from defeated opponents, you can also loot the bodies and smash objects for the ‘sometimes’ items but Thief-takers and Constables will not like it. - Know that doing storyline missions will forward the time and flirting with the ladies will make you miss storyline missions. So plan accordingly. - Use the multiple saves. - Get the blacksmith mission done early in the game to power up your weapons and fix weapons for a measly sum. Do not put any reforging into durability but put everything into power. The torture mini-game had a fast and furious risk of dying which prevents me from getting a screenshot while in ‘it’. Edit: I can’t believe I forgot to write the blacksmith tip. Edit2: And its RELEASED!!! Now its 20% off until 30th July. RE-RE-RElease of Ace Attorney and its also on STEAM!